While on your Rwanda tour, have the time of your life doing nothing but the simplest, humblest and yet most rewarding things you could imagine. The Red Rocks community will welcome you to this sheltered, unspoiled corner of the world where time and nature go hand–in–hand. Forget the office, say “goodbye” to manic Mondays and let the sun be your watch, your compass, and your alarm clock. This is your chance to connect with the locals on a deeper level, gaining invaluable insight into rural life. Red Rocks will put together a range of cultural experiences for you to enjoy every day of your stay, so that you don’t miss out on any of the wonderful things the community has to offer. At Red Rocks, you’ll visit the locals, watch them as they go about their day, help with chores if you wish, learn how to carry out some of their life-sustaining activities, including brewing banana beer, grinding millet, carrying water, weaving, picking, and so much more. Avail yourself of this unique opportunity to be part of this rural community with Red Rocks! Are your ready experience this truly memorable and immersive tour of Rwanda? The Red Rocks community invites you to come and stay, where you will be surrounded by breathtaking views and welcomed by warm and friendly locals. 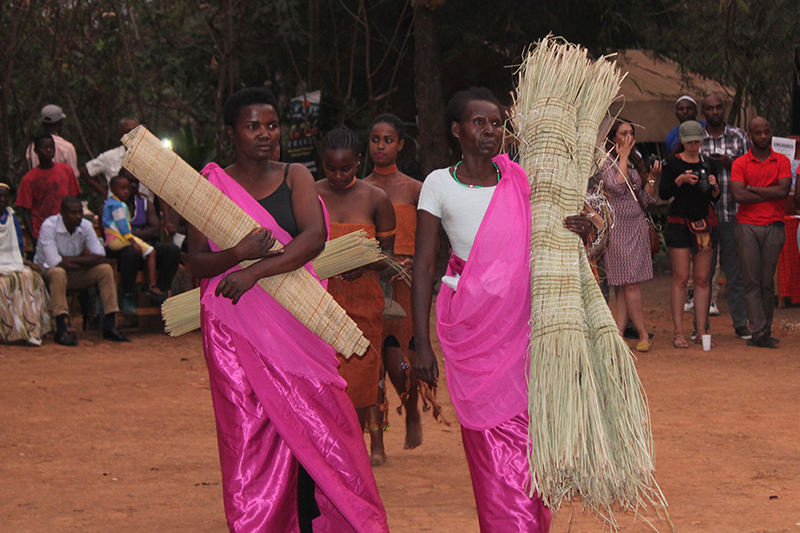 Experience Red Rocks culture and responsible Rwanda tourism at its finest. Book your Rwanda trips with Amahoro Tours today!